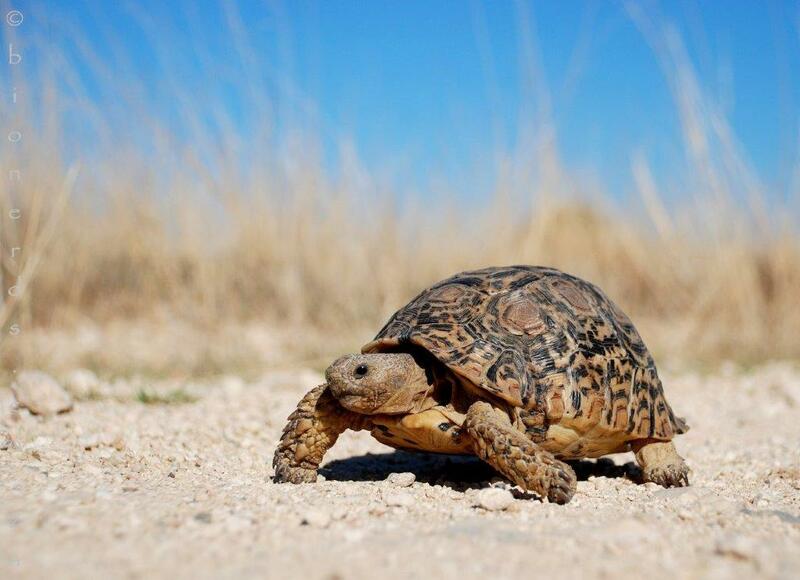 How do tortoises survive in the desert with so little water? Well, they have several tricks up their shells! We know that reptiles are ectotherms, which means they need much less food and water than comparably-sized mammals since they do not need to consume and burn so many calories to stay warm. That is the first thing they have going for them. Since they have such low requirements, the water already contained in the vegetation they eat goes a long way towards keeping them hydrated. Many can go incredible lengths of time away from any drinkable water by merely finding such vegetation. Their adaptations don’t stop there, though. Another trick of the trade they use is burrowing. Some tortoises are primary burrowers, digging tunnels slanted thirty feet or more into the ground. Even in the desert, the soil has trace moisture, and hunkering down in this humid microhabitat minimizes moisture loss. Furthermore, these tunnels offer safety and security, not only for the tortoises themselves but often dozens of other species, as well. Researchers with cameras routinely observe snakes, mice, and a variety of other critters sharing these shelters. In times of danger, such as a wildfire sweeping through the area, these burrows become community shelters, with all manner of creatures high-tailing it down these holes. Possibly their most useful adaptation, however, would be how they handle the matter of liquid wastes. We humans must take in voluminous amounts of water every day (we’re supposed to, anyway!) and we eliminate these fluids along with various unneeded byproducts of our metabolism. To keep the “furnace” going, we need lots of “coolant” circulating. Tortoises get their heat from the sunshine and often get their moisture from their diet. Instead of wasting the water they take in, they store it in their bodies. Uric acids that other animals continually flush out get crystalized by the tortoise, allowing them to expel only those actual waste products as a white, semi-solid concentrate (the white part of bird droppings are similar in nature). The water itself is retained in case the tortoise doesn’t come across a drink for a while and needs to reabsorb it! In fact, tortoises will often wait to urinate until they find more fresh water to drink, or at least until they find some vegetation with high moisture content. They essentially “flush and refill” the tank by peeing and drinking as much as they can. They can then keep going for weeks (or longer, if necessary) on their fresh water supply. Talk about Reduce-Reuse-Recycle! Humans spend huge amounts of money developing and refining methods of safely recycling water for vessels such as submarines and spaceships. Tortoises mastered that process ages ago, enabling them to spend their time on more important tasks, like napping. These majestic, armored survivors plod continually along, merrily digging burrows that preserve biodiversity and often asking little more than a patch of grass, some sunshine, and some shade. If ever there was an animal that deserved our respect and protection, tortoises are certainly top contenders. 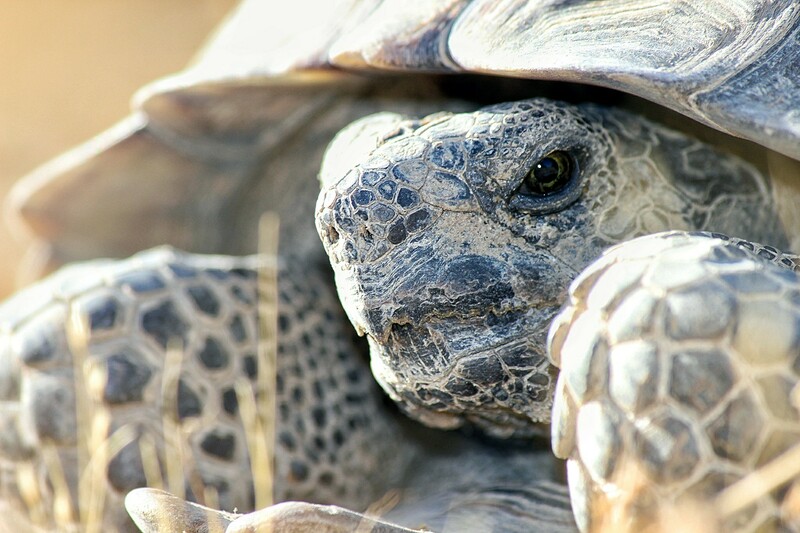 Quite a few organizations are working to preserve threatened tortoises—check out the links in the appendix to see how you can help! Did you know? Many animals, such as dogs, cats, birds, and lizards lap or scoop up water with their beaks or tongues. Tortoises can’t do either of those things, so they just stick their whole face in the water and “pump” it in!